Select Research are recognised as one of the leading companies in the world for 3D human body measurement, pioneering the use of 3D scanning in healthcare, wellness & fitness. Select Research are recognised as one of the leading companies in the world for 3D human body measurement, pioneering the use of 3D scanning in healthcare, wellness & fitness. In recent years, Select Research has applied 3D scanning to the measurement of obesity and its associated risks to our health. This has been achieved using the Body Volume System. With roots in the retail and healthcare sector, Select Research has undertaken a diverse range of projects, each giving a fascinating insight into the world we live in. 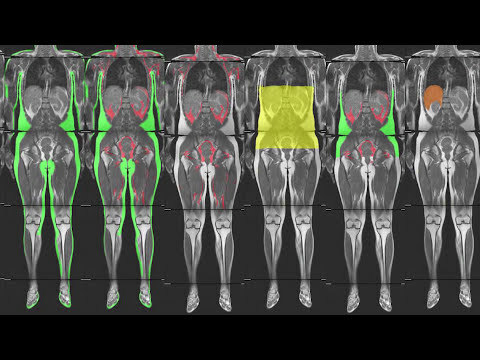 In recent years, Select Research has refined the process of 3D scanning of the human body and applied this to the measurement of obesity and its associated risks to our health. This has been done using the Body Volume System, the foundation of the Body Volume Indicator; a potential alternative to the Body Mass Index. Awareness of this has been growing rapidly, both in the NHS and the public sector, with numerous potential benefits and uses. The headquarters and the main team of Select Research are based in Malvern, part of the UK's central technology belt. BVI America, the business set up in Philadelphia by Select, has a team managed by Jackie Fulmer, to deliver the body volume technology across the USA. Richard is a pioneer in 3D body measurement and is the creative 'mastermind' behind BVI. Securing Mayo Clinic, the Medical Research Council and others as collaborators, Richard is driving the development of BVI as a new and valid 'health indicator' around the world, to turn it from an 'indicator' to an 'index' by 2020. Ruth oversees business development for healthcare at Select Research, and has over 20 years’ experience in business including development and sale of technology businesses. Ruth oversees business development at Select Research, liaising with clients to ascertain their needs and how BVI can be best integrated into client systems through the API. Simon has over 25 years’ experience in the retail and apparel industry including designing and producing fabrics for Italian clothing brands and more recently over twelve years addressing industry needs and providing solutions to retailers for an international apparel consultancy. Simon oversees business development for retail at Select Research, liaising with clients to ascertain how the body volume technology can be best integrated into client systems to improve fit data and help reduce returns.